Liverpool star Mo Salah reacted in a strange fashion over his side’s late winner against Paris Saint-Germain last night. The Egyptian star had already been substituted by the time Roberto Firmino gave the Reds a 3-2 victory. 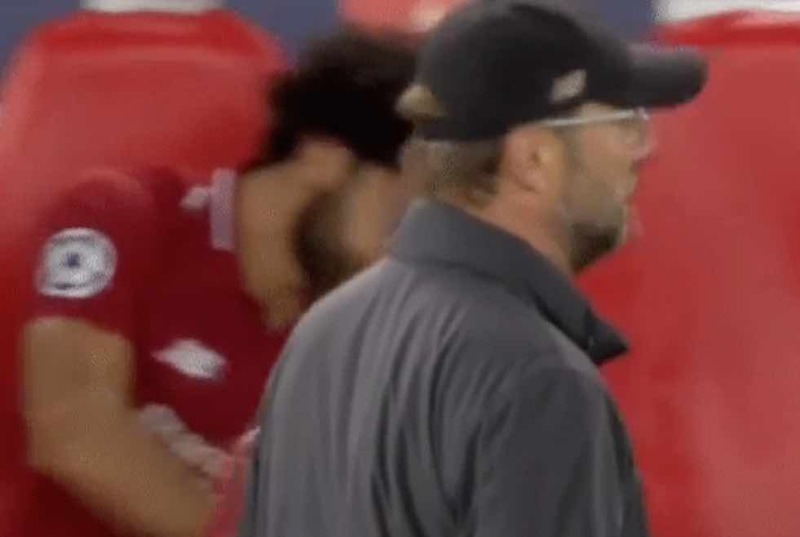 Sitting behind manager Jurgen Klopp on the bench, Salah could be seen throwing his water bottle to the ground, seemingly in frustration. Another clip from earlier in Klopp’s celebration of Firmino’s winning goal shows that Salah did initially hold his arms aloft in celebration. But it wasn’t exactly a show of jubilation and doesn’t explain why he went on to throw his bottle to the ground.